If you’re looking for the ultimate option in protection for your home or business with a fire sprinkler system, we can help! Security First Alarm will install and maintain your fire sprinkler system, making it any easy option for a busy business or homeowner. We design, monitor, repair, install, service, test, and offer fire sprinkler and fire alarm systems in Portland. Call Security First Alarm right now for a free estimate! 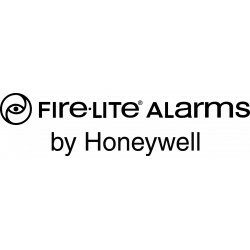 Security First Alarm takes the headache out of fire alarm monitoring and testing. We will set up your monitoring service and even contact you when you need your annual fire confidence testing. Additionally we’ll fill out all the paper work so that you don’t have to. Let’s get started on your top of the line fire sprinkler system, today. Quality installation is what we focus on. We know all the fire sprinkler systems requirements for Portland and install name brand products so you don’t have issues with poorly built products. Ask for a quote and you’ll be surprised how affordable a fire sprinkler system can be. Maintaining a fire sprinkler system can often be a hassle. That is why we guarantee service. We provide regular fire confidence testing so when you need it you won’t have a problem. Often when a property changes hands it has to be brought up to current fire sytems code. We’ll be there every step of the way. Our working relationship with your goverment representitive will mean all the difference. Give us a call if you need to repair, service, test or perform regular maintenance on your Portland fire alarm system.